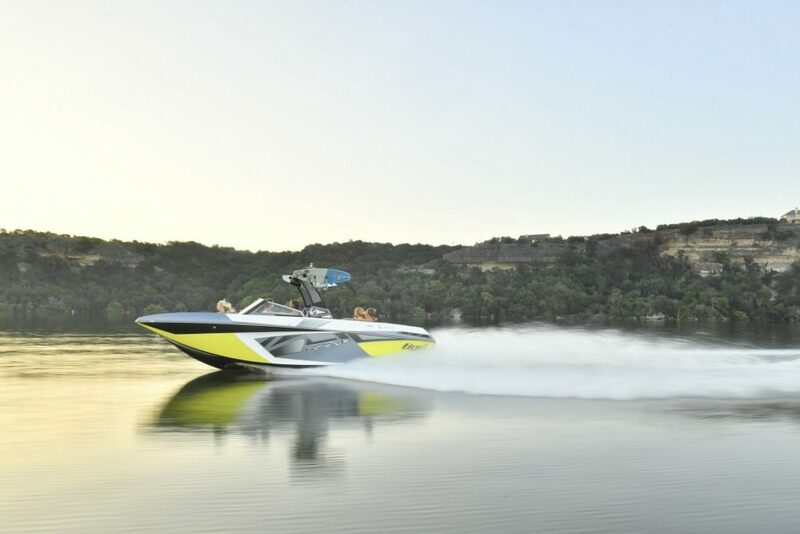 Tige’s sporty 20-footer demonstrates that thoughtful product development and innovation are alive and well in the tow boat industry. While a good portion of the marine market is merely holding its own, the tow boat market is showing signs of rebounding. What signs? Companies that supply hardware to tow boat manufacturers have reported an upswing in orders, always a good indicator of increased production volume. 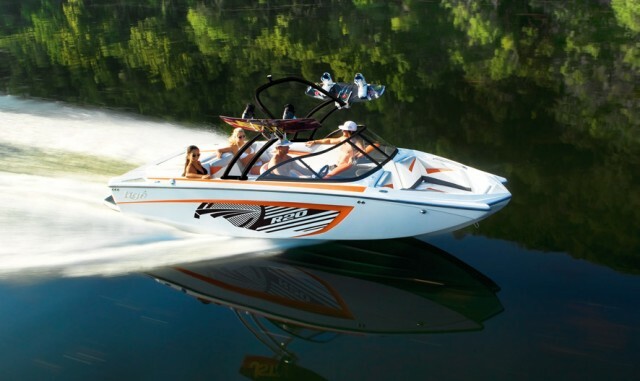 That helps explain the number of new products tow boat companies are offering for 2011. 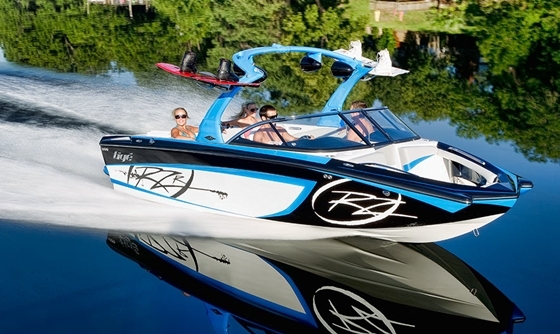 The Tige R20 comes with a host of standard features at a very affordable price. 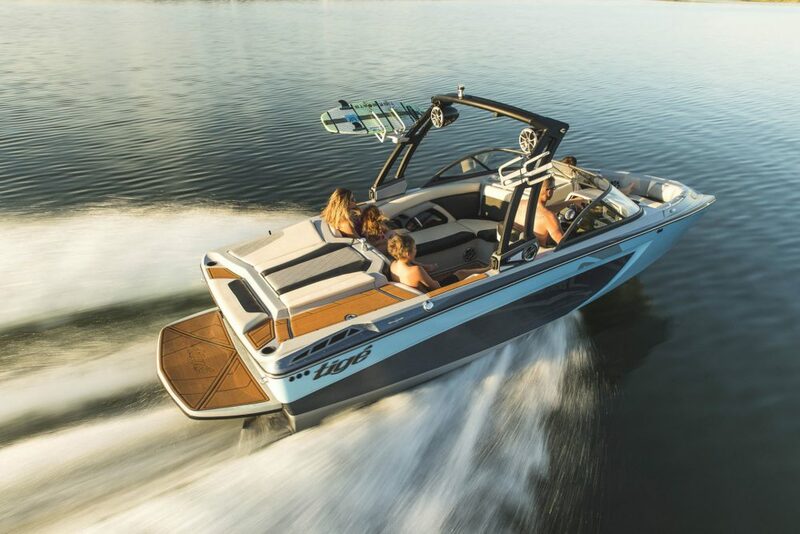 Tigé’s R20 is particularly notable because of its bold styling cues, which first appeared on the company’s ultra cool RZ4, and because of its more affordable price tag. 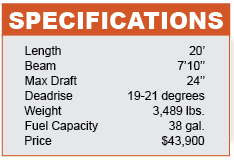 The base MSRP for the R20 is $43,900 without a trailer. And it comes with a host of standard features, thoughtful design, and functionality. For example, the “pickle fork” bow that has staked out a huge place in the market looks right at home with the R20’s angular styling and chiseled lines. It also creates additional space in the bow, which has grabrails that are countersunk so they don’t detract from the boat’s profile. With ample freeboard, the R20 also boasts a nice deep cockpit and richly padded coaming panels, a great safety feature for families with young children. 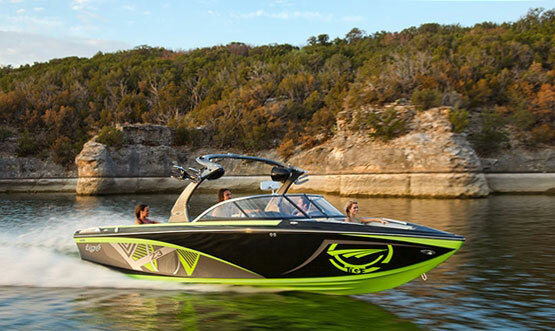 As those kids grow, they’ll come to appreciate the tow eye on the transom, the standard ski pylon and towing tower, and Tigé’s proprietary SpeedSet cruise control. Ballast systems are optional, at 900- and 1,600-pound capacities. The latter of the two is good enough for wake surfing. Tigé’s TAPS wake-tuning system is also optional. For power, the standard V8 engine produces 303 horsepower, but there’s an optional 343-horse 5.7 liter. Unfortunately, the 409- and 550-horsepower engines from PCM are not offered on the R20. As fun as those engines would be, they would be pretty pricey, which is antithetical to the R20’s mission. In the things-you-can’t-see-but-but-are-important department, Tigé uses all Deutsch electrical connectors, which is critical in the R20’s drive-by-wire throttle system. Its cockpit sole is constructed so the fuel tanks can be accessed and serviced without having to break out the Sawzall. The coolers are all insulated and self-draining. 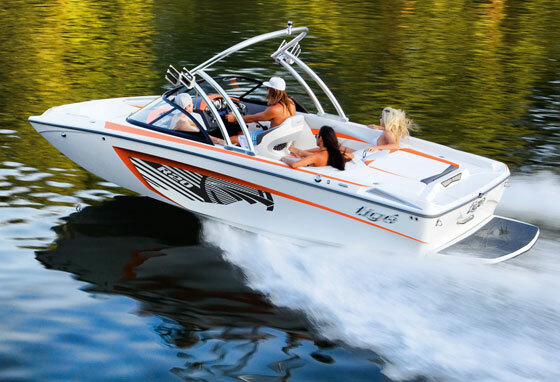 In addition, the ventilation and electrical systems are certified by the National Marine Manufacturers Association. 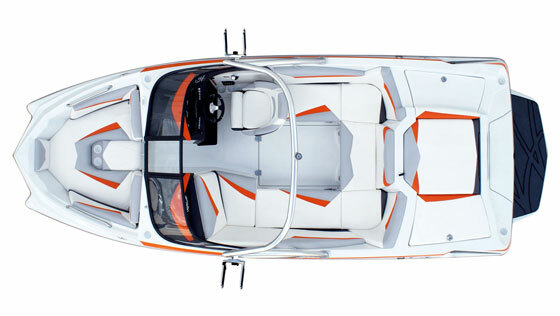 The Tigé R20 is fitted with a maintenance-free fiberglass nonskid swim platform, four pull-up cleats, and a driver seat with a flip-up thigh bolster. The transom is molded to form a bench for gearing up for a ski run. What’s more, the rear stowage lockers can be accessed from the cockpit or the platform. The rear G-shape lounge features carpeted stowage beneath all the cushions and more stowage beneath the windshield cowl. It’s heartening to know that at least some portions of the marine market are showing green shoots. In the case of the entry-level R20, given its standard equipment and reasonable price, those shoots are poised to blossom. For more information, visit the Tige website. Editor's Note: Brett Becker is a freelance writer based in Ventura, CA. He covers the marine, automotive and racing industries for various print and web titles.